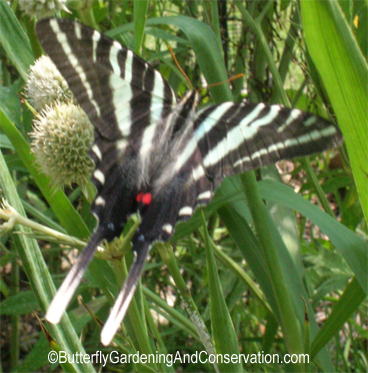 Zebra Swallowtails have a wingspan of around 1.9 to 3 inches wide. 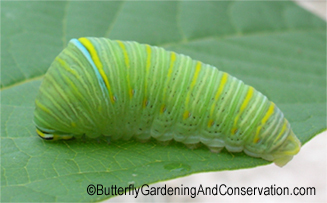 They are mainly forest, semi-wooded dwellers, often seen in low moist spots where there is Pawpaw growing. 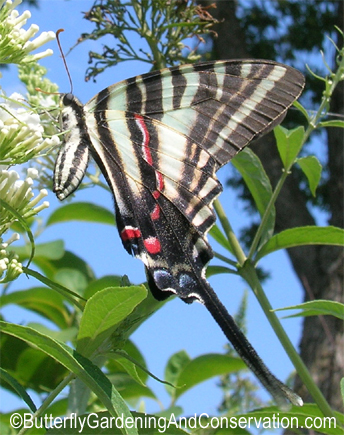 They have several generations per year and adults use flower nectar as a food source. 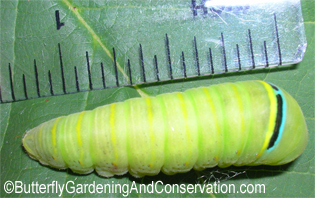 Adults in the spring tend to be a bit smaller than the ones in the summer. Their range includes most of the eastern US. Their main host plant is Pawpaw - Asimina triloba. In some southern state they may also use some smaller PawPaw family plants such as Asimina parvifolia, speciosa, pygmaea, obovata, and reticulata. 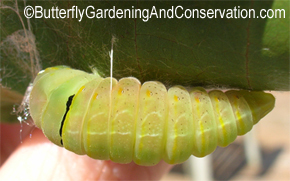 Their eggs are light green and laid singly on the host plants. 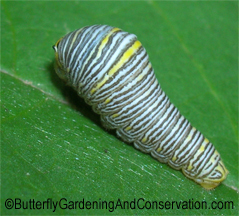 Although I have not yet seen eggs left on my pawpaws I have been able to get some pictures of later instar caterpillars.